This is a compendium of resources related to the periodic chart. 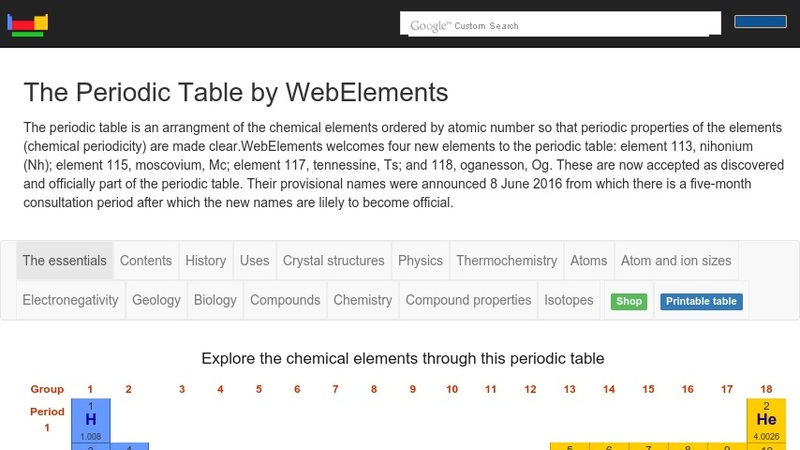 From this site, one can surf a wide variety of presentations of the Periodic Chart of the Chemical Elements. Categories include: Periodic Tables with Basic nformation ; Periodic Table Tests; Periodic Table Link Lists; Periodic Table Games; Periodic Table Projects;Periodic Table News; Periodic Table Books; Software Downloads and much, much more. This site was last updated 11/02/2003.